Everyone at ESID is saddened to hear that Simeen Mahmud recently passed away. Simeen was head of the Gender Studies Cluster and the Coordinator of the Centre for Gender and Social Transformation (CGST) at BRAC University in Bangladesh. 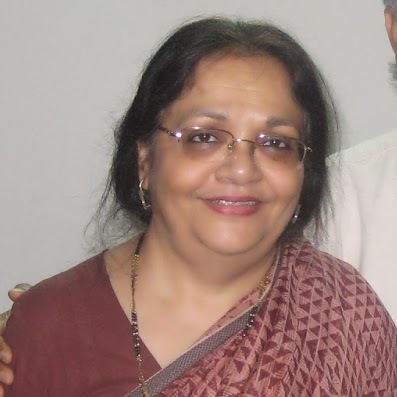 “Simeen Mahmud was a remarkable scholar of gender in South Asia, and many of us in Manchester had come to know her well through the many interactions we had with her over the years. We had a tremendous respect for her scholarship, her humanity and her generosity to others. I myself feel a very personal loss as I greatly admired her work, and the calm and dignified manner she conducted herself in all professional interactions, and always looked forward to the next interaction I would have with her on our common research interests on women’s work. “If you are working on demographic changes, accountability in health systems, unpaid care work, labour markets or citizen’s movement in Bangladesh you must have read Simeen Mahmud’s work. Her cross disciplinary approach and grasp over methods made her work exciting to read. Simeen has nurtured generations of young social science scholars in Bangladesh and through her leadership in various international research consortia enriched the intellectual debates on development, citizenship and gender. A recent book chapter entitled ‘The Gendered Politics of Securing Inclusive Development’, written by Simeen with Sohela Nazneen, can be read here.